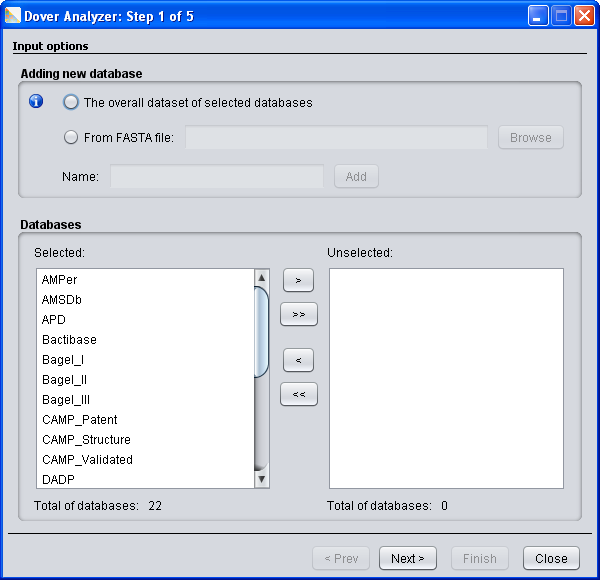 Dover Analyzer is a wizard like application that takes collections of databases annotated in FASTA format and guides the user through a few steps to compute the overlap, diversity and redundant or non-redundant sets of peptide sequences. It is implemented in Java to achieve platform independence and has been designed initially to analyze the publicly available antimicrobial peptide databases. 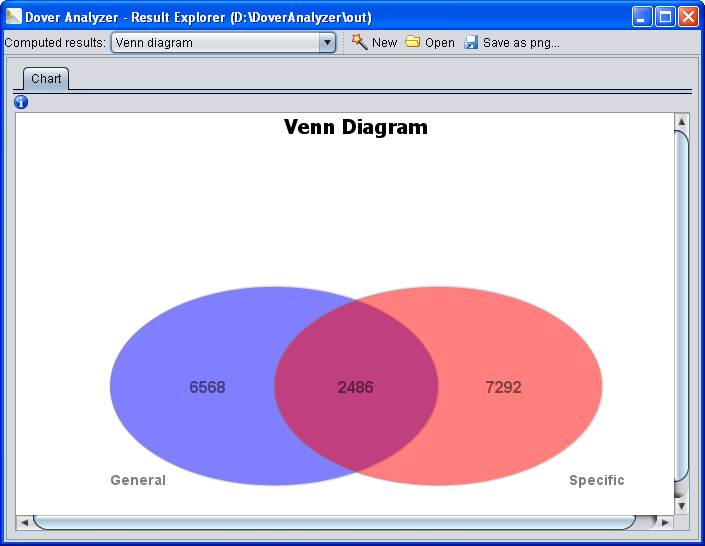 However, additional analysis can be done by simply adding new databases or replacing the existing ones. Hard Disk: a minimum of 250 MB of free space is required for the output files with the computed results. Java(TM) 7 Runtime Environment or superior version on the target system. 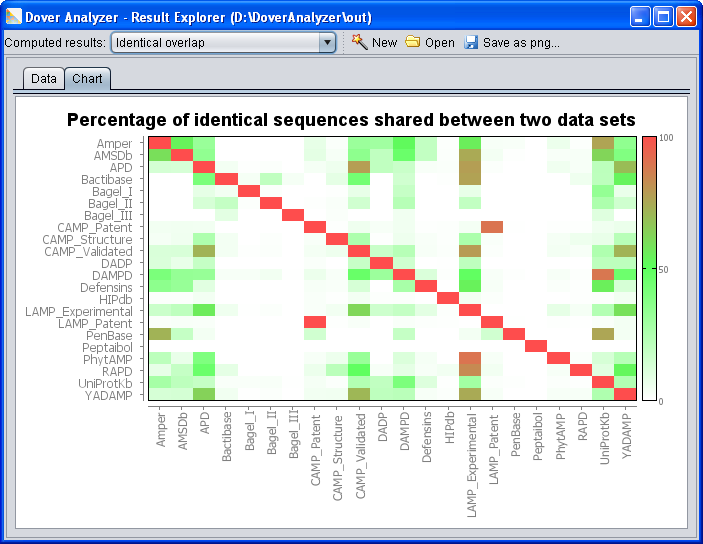 Aguilera-Mendoza, Longendri, Llorente-Quesada, Monica T., Tellez-Ibarra, Roberto, Marrero-Ponce, Yovani, Salgado, Jesús, Barigye, Stephen J., Liu, Jun: Overlap and diversity in antimicrobial peptide databases: compiling a non-redundant set of sequences. In: Bioinformatics, 31 (15), pp. 2553-2559, 2015, ISSN: 1367-4803. Why I get an out of memory error? Please see the section “Troubleshooting” of the DoverAnalyzer’s manual. 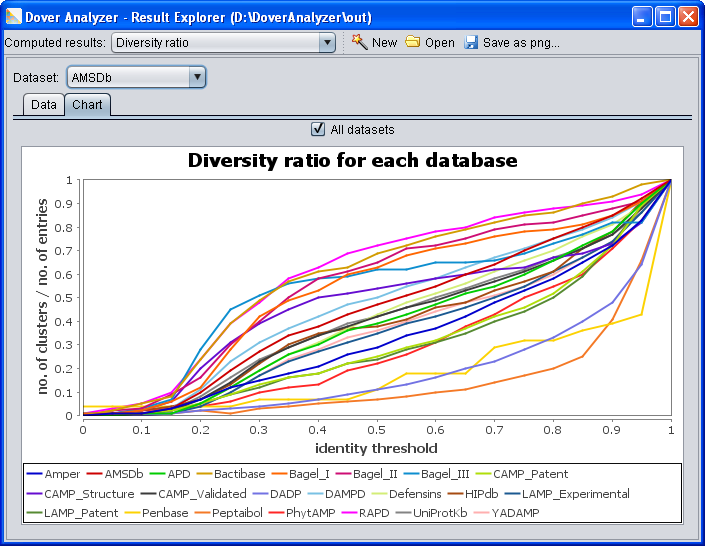 How do I customize the databases for the overlap and diversity analysis? 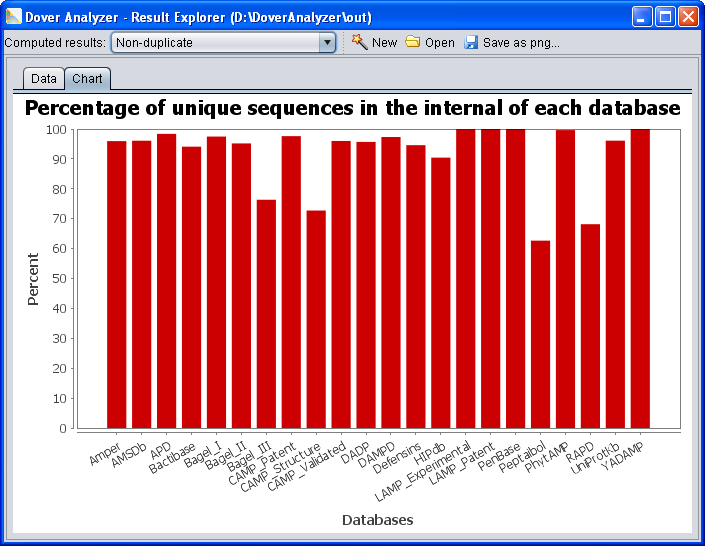 The user may customize the databases by two ways. The first one is permanently and may be done manually by modifying the “db” directory located in the root folder of the Dover Analyzer program. The second one may be done in the first step of the wizard and this kind of customization will work only for that analysis. 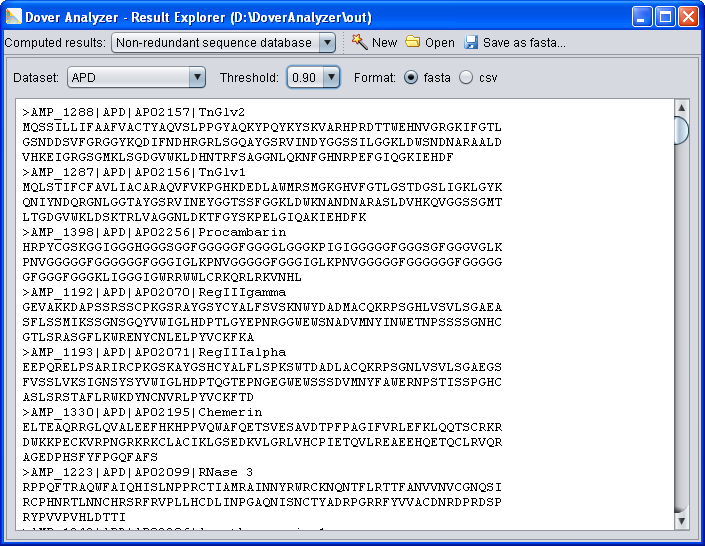 Why the number of entries loaded from FASTA file is less than the number of sequences stored in that file? This can happen if there is more than one sequence with the same identifiers. 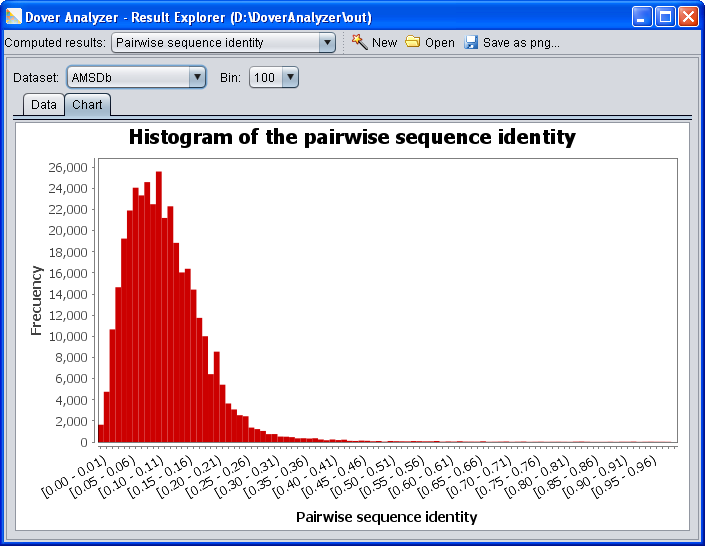 The entries enrolled in that case are loaded as one and the sequences are overwritten. Please, verify that the description or header lines of entries should contain unique identifiers for each sequence stored in the file. This entry was posted in Resources and tagged Antimicrobial peptides on November 24, 2014 by Longendri Aguilera Mendoza.